4.3" covered stiletto heel; 1" platform; 3.3" equiv. For in-store inquiries, use sku #2685876. 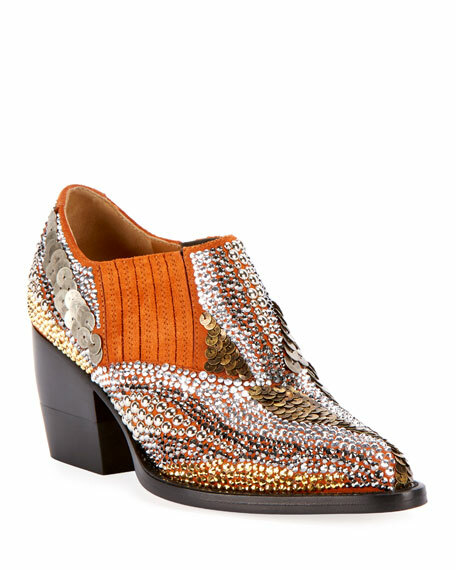 Chloe suede bootie with allover thermo-applied strass and stud design. 3.5" stacked block heel. Almond toe. Side zip eases dress. Leather lining. Smooth outsole. Made in Italy. 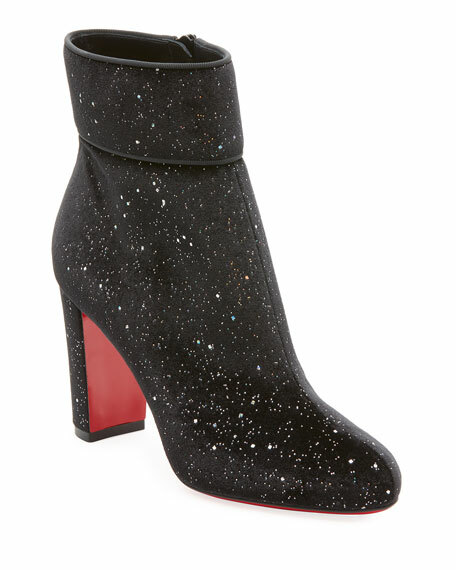 Christian Louboutin glittered velvet bootie. 3.3" covered block heel. Round toe. Side zip eases dress. Grosgrain trim at top collar. Signature red leather outsole. "Moula Max" is made in Italy. 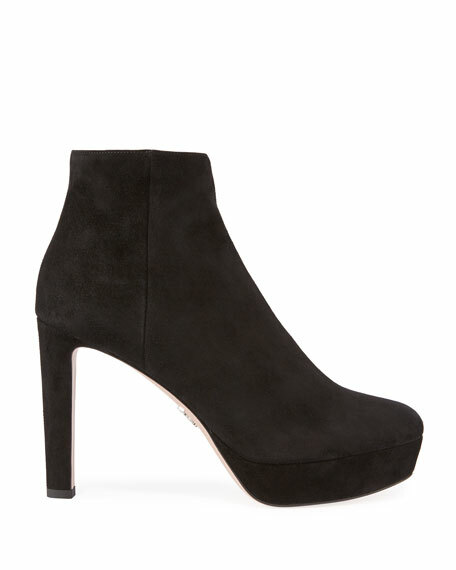 Gianvito Rossi leather bootie. 2.8" stacked block heel with platform. Round toe. Lace-up vamp. Stretch-sock top collar. Leather lining. Lugged rubber outsole. Gravati kid suede ankle boot. 2" stacked heel. Approx. 5.3"H shaft. Round toe. Tonal topstitching. Side zip eases dress. Textured outsole for traction. Made in Italy.